Are you tired of using various shampoos in market, but no one working well? I also had same problem few months before. There are a lot of harmful chemicals used in shampoos to give cleansing effect. But all these are affecting our health and making our hair dull and breakable. The problem with the shampoos available in market is that they have a lot of harmful chemicals like SLS (soduim lauryl sulphate ), parabens etc. All this affects our hair health and also cause various other problems like skin a eye irritation. Even though many companies claim their product to be organic and chemical free but chances are there that they are not giving proper information. So in order to ensure good health we have to shift to natural alternatives. ​What I use to wash my hair? I am using saopnuts to wash my hair. They are easy to use and are cost effective. Moreover they are natural. Take the soapnuts and separate their shells. We are going to use those shells. Now, when you want to wash your hair, you make take some of these shells and put in about 2 glasses of water. Take this mixture to boil for about 10 minutes. After that let the mixture to cool. After it is cooled, scrub the shells to get saponin out of them which acts as a cleansing agent. Now the mixture is ready to use. You can also first crush the shells into small pieces and then use it as explained above. ​Apart from the benefits mentioned above, you will have lots of another benefits like removal of dandruff. Also your hair become more manageable, straight and less tangled. ​NOTE: The number of shells to be used should be according to your hair. 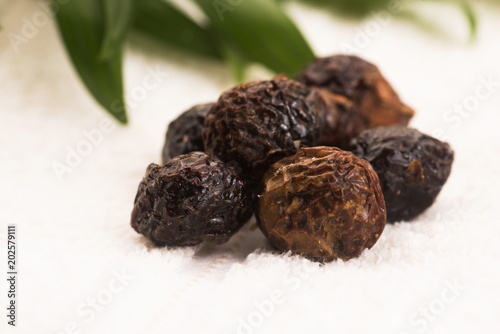 If your hair are oily, you can use more soapnuts. Using excess of them can make your hair dry. Indian market is flooded with foreign products taking large sums of money from our country. Thus such methods are really a good option to serve our country in our own way. Lets together make the 'Poo-free' community.